I am a self taught craftsmen who started 15 years ago when my wife saw a quilt rack she wanted to get for our girls for Christmas. The Amish shop only had one left. I looked at the design and thought, "I can do that!" So I bought the stand and decided to give it a try. It turned out beautiful, so my wife asked me to make a second for our other daughter. In the years since that Christmas, I have branched out into making everything from spoons, lazy susan's and cutting boards to furniture and cabinets. As my daughter likes to say, "if you can dream it, my Dad can build it". All of the pieces you see on these pages are hand crafted from American hardwoods, such as heart and sap cherry and walnut. My favorite wood supplier is in Ball Ground, Georgia. 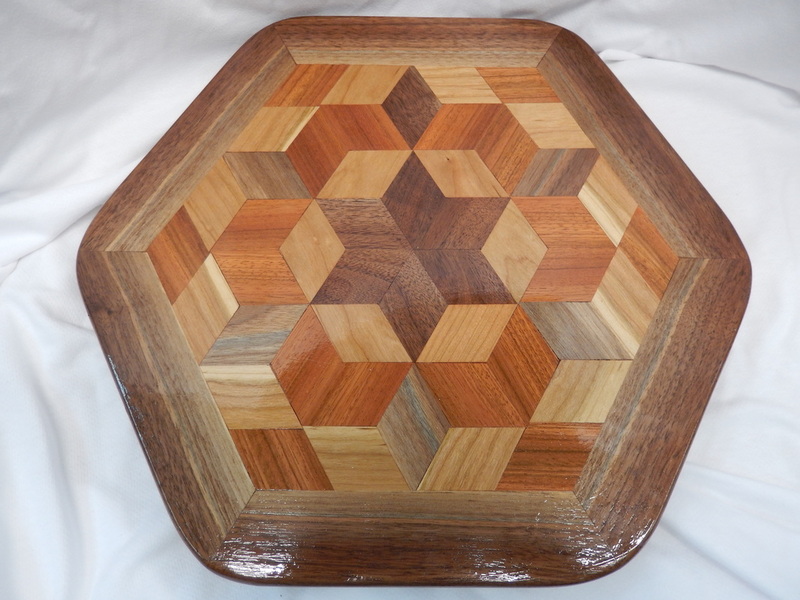 Additionally, some exotics are used as well, such as African mahogany, purple heart and padauk. 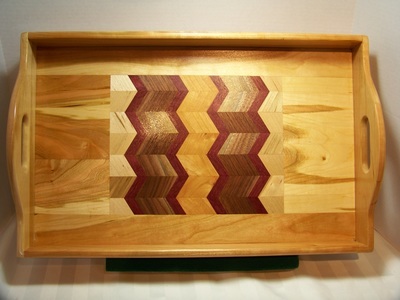 I am passionate about working with different woods with a wild grain pattern. * The items listed here are samples and some may been sold, along with many others. Please contact me to for my current inventory or to order any custom items. * All trays and lazy Susans are all coated with multiple coats polyurethane. * The cutting boards and cheese boards are sealed with a non toxic sealer, and are safe to use with food. * Cheese boards have been customized with a groove to hold the glass dome. The items underneath the "New [Item]" tabs are the ones I currently have in stock. The other tabs hold samples that I have already sold, so if you want to buy/order an item, please view the "New [Item]" tabs.